Here are practical some ideas to a smoother Yom Tov. 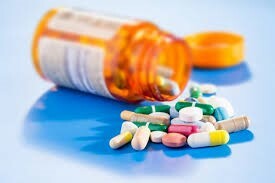 Fill all prescriptions prior to going away for Yom Tov. Erev Yom Tov is a long day. If you are traveling out of town, keep in mind that there is no formal meal until the Seder which is late at night. A leben or a string cheese won’t suffice to keep you or your children satisfied. Hungry kids equal cranky kids. Plan options that are permissible to eat after Biur Chometz. 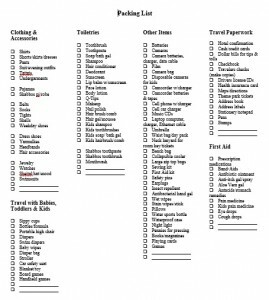 If traveling, make a checklist. 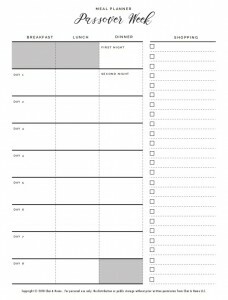 Lists keep us organized and focused. Start packing two days prior to give yourself wiggle room to purchase last minute things. Check the weather forecast to make sure you’re packing the correct wardrobe. 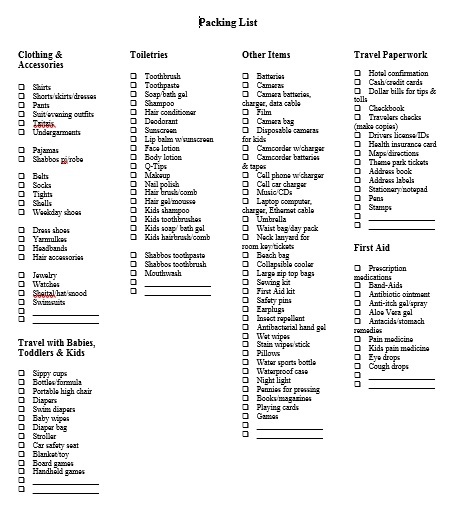 Here is an image of a packing list. 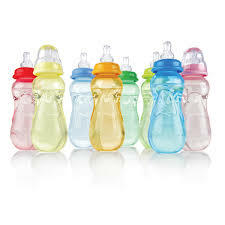 Buy new baby bottles, sippy cups, wash bibs. 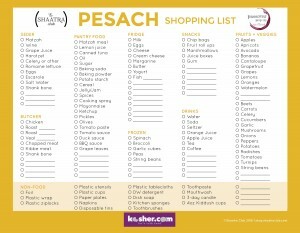 If possible, sign up some of the smaller children in a Pesach day camp. Send some of them for either all days off or even just one day to give yourself some quiet. Lakewood is full of fantastic programs run by adorable preteens the week of Pesach. Don’t feel guilty, it’s called making smart choices. Staying home and cooking? – take it slow and easy. 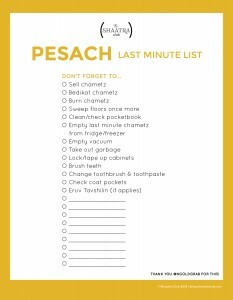 The Pesach calendar this year is B”H so forgiving – one day Shabbos, one day Yom Tov. Keep the menus simple. Don’t forget Eruv Tavshilin, and if you have no burners on, light a Yarzeit candle to be able to light Hadlakas Neiros. The first Seder falls on Shabbos, make sure everything for Seder is prepared beforehand, no cooking or grinding allowed. 7. 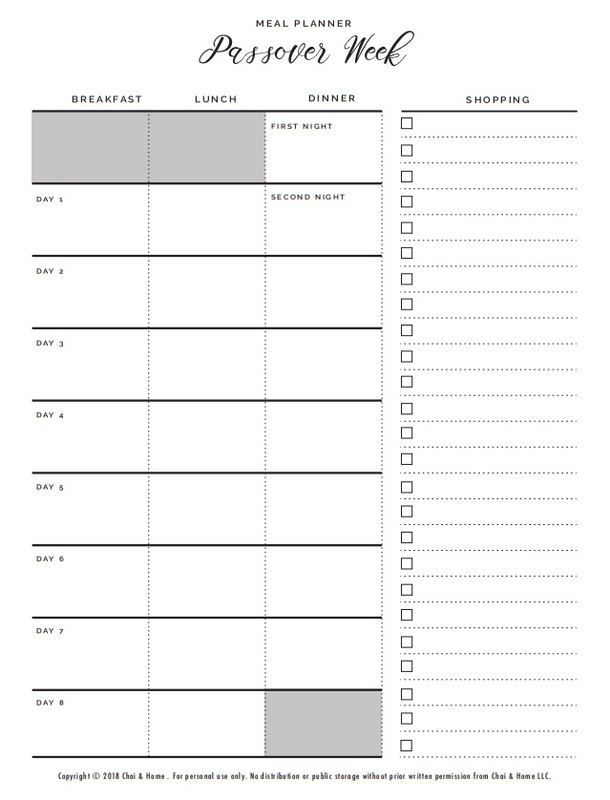 Before you go grocery shopping, have a list prepared of what you need. 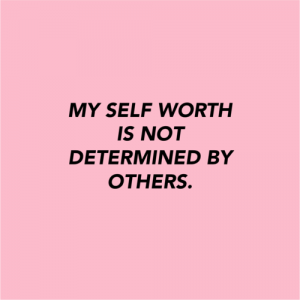 Self-acceptance – It’s a challenging time. A lot of work, a lot of packing, a disruption of routine and schedule. Keep on telling yourself it’s normal that you’re not feeling the joy of the Yom Tov. 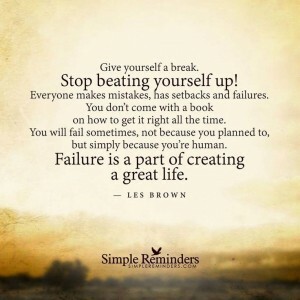 You’re not broken or bad for feeling overwhelmed. So many of us feel that way. Give yourself that permission to feel uptight, anxious or stressed. Recognizing and admitting we are feeling something is the first step in letting go of it. Don’t deny it! Don’t have high expectations – those beautiful scenes in the children’s Hagadah with serene happy children and beaming mothers sitting around a Seder table? Possible, but many times that’s just not our reality. The kids are low on sleep and high on carbs. Sleeping in different beds, operating on different schedules. Hyper, not eating properly, getting into fights with cousins. 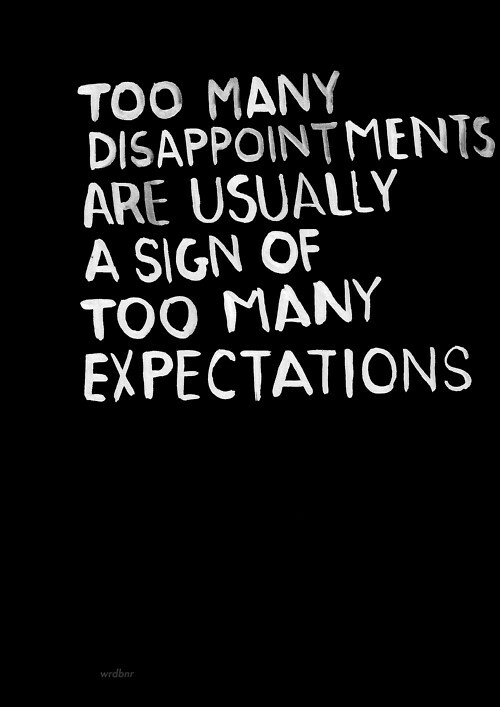 This can lead to us to feeling inadequate. 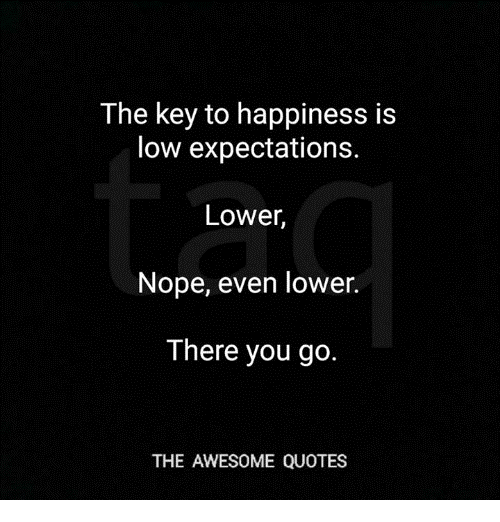 Let’s start by not having such high expectations. Let’s be open to believe that the nature of a week long holiday will lead to some nights where kids go to be bed with barely eating a decent meal, or some days where haven’t really bonded with your baby because you’re so busy cleaning and cooking. 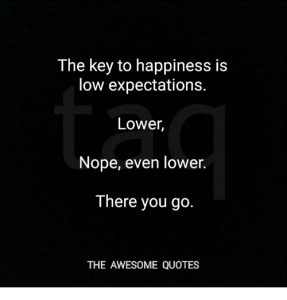 Let’s lower our unrealistic expectations and thereby decreasing the disappointment. 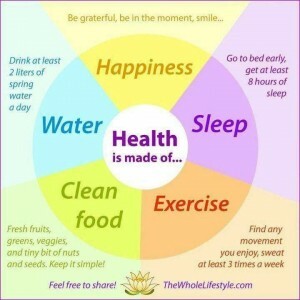 Try to boost your psychological resources this week with sleep, exercise, and a good diet, to the extent that you can. Granted, this is easier said than done–and more often than not, putting a sleep or exercise routine into place is easier months before Pesach preparations begin. Nevertheless, setting a clear bedtime and getting out for a walk or a gym class even once a week is a giant step forward. If need be, reward yourself for getting to bed on time or exercising. 5. Focusing on the Meaning of Yom Tov – you might be too busy and overwhelmed to Daven much, and at the Seder you might be too tired or too busy with your children to really connect with the Hagadah’s beautiful messages. Be gentle with yourself, try really hard to accept that all your hard work for the Yom Tov is true Avodas Hashem. When we are down and struggling, the fact that we made an effort to beautify a Seder table, or buy new clothes for your children is a huge spiritual accomplishment. These are not tiny simple tasks. These are monumental efforts to make Hashem proud and to honor Hashem’s name. This in of itself is a celebration. If you are up to thinking deeper and want to connect more, read through these thoughts to have in mind at the Seder and over Yom Tov. B) Connection. Thank You for bringing all of us here together to celebrate this holiday. Thank You for the gift of family and friends. Thank You for the incredible blessing of seeing generations sitting beside each other and singing the songs of our ancestors. Thank You for each other. C) Home. Thank You for giving us shelter. For this beautiful table overflowing with food and drinks. For the chairs, the table and the lights. For the flickering candles and the fragrant flowers. 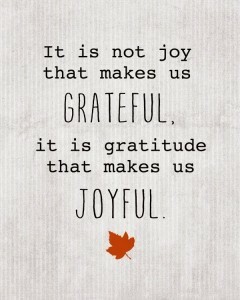 For all the material goodness that You pour into our lives every moment of every day, thank You. D) History. Thank You for giving us this opportunity to tell the story of our nation. To go back to the beginning of where we began and walk in the footsteps of our people. To feel their pain and remember their courage. To connect their stories to our own stories. How we began and where we have been. 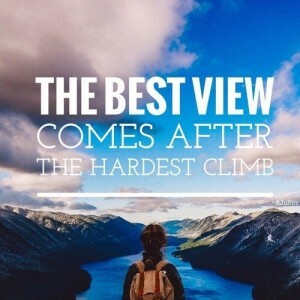 The challenges that we have overcome, and the moments that have defined us. The history of our nation and of each of our families. The stories that must be told and retold so that our children can write their own stories. Thank You for this, for our history, and the stories that keep our journey alive. Take a minute when you sit down at the Seder to congratulate yourself for getting here. What a huge accomplishment! 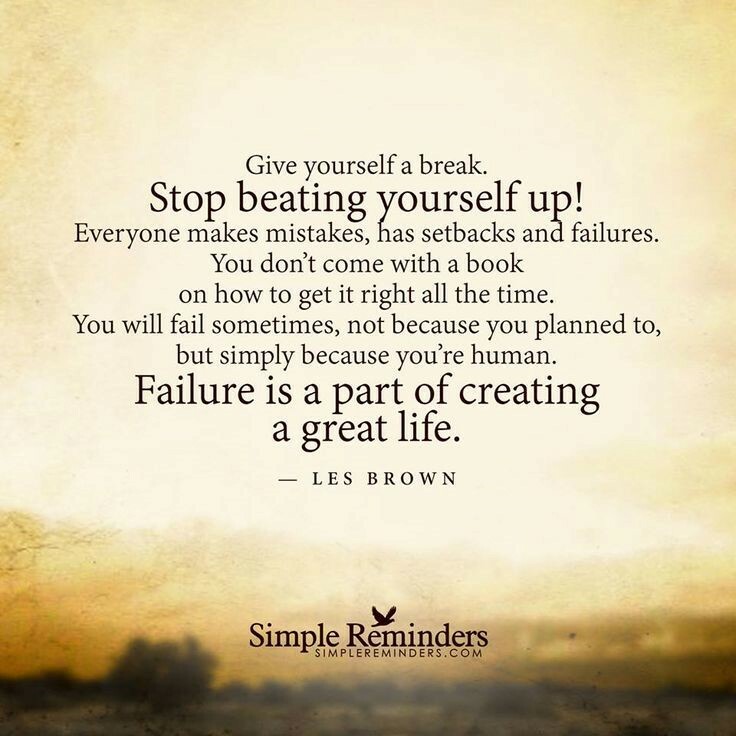 You may not have done it according to your standards of “perfect”, but you did it! You may not have done it with the “grace” and “patience” that you wish for, but you did it! It may have involved tears, anxiety, frustration and hopelessness BUT YOU DID IT. 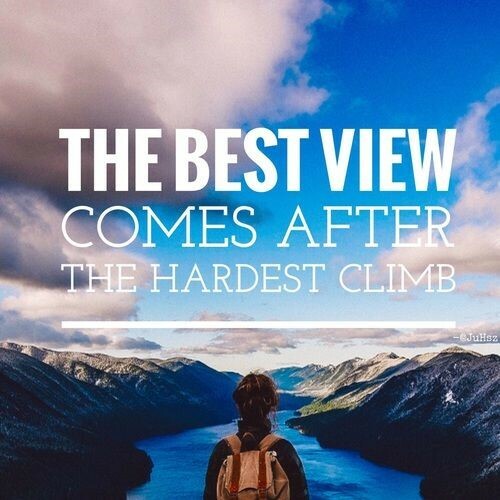 It takes so much courage, strength, bravery, resilience to push yourself to prepare for Yom Tov! Give yourself a silent round of applause and a pat on the back, because you earned it. Kol hakovod! 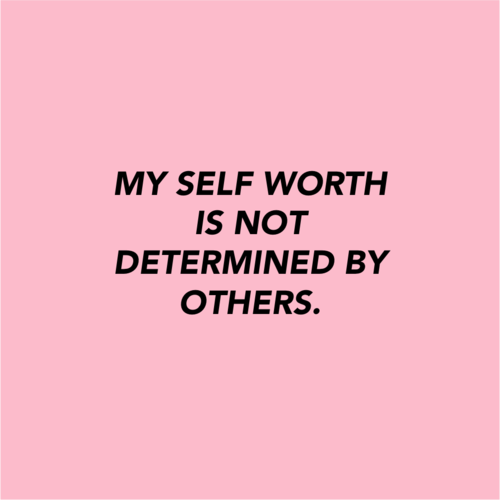 If it’s hard for you to feel this, just remember, all of your Yad Rachel family members are silently applauding you and cheering you on! We know. We understand. And we respect the journey. Yay for YOU! 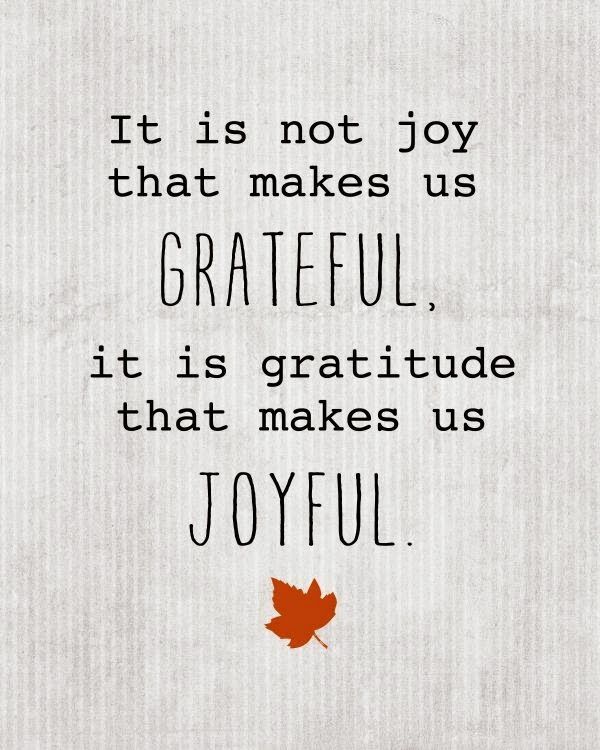 We hope you have a wonderful, easy, uplifting Yom Tov! !